Jersey material is a finely knit type of t-shirt material that doesn't stretch easily. Shirts made of this fabric are often called "jerseys." If you've bought a jersey that's a size that's too big or have lost weight, you can shrink the shirt yourself and avoid a bill at the tailor. You can only shrink a shirt that's made of natural fibers, such as cotton, silk or wool. Synthetic fabrics like polyester can't be shrunk. If the shirt is a mix of natural and synthetic fibers it can still be shrunk, but you might have to repeat the shrinking process a few times to achieve the desired size. Check the care label on your jersey. 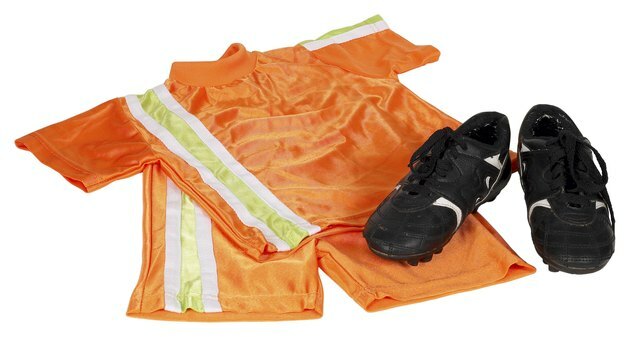 Determine if your jersey is made of natural or synthetic fabric. Put your jersey in the washing machine and select a hot wash and medium rinse cycle. Take your jersey out of the washer and put it in the dryer. Set the dryer to high heat -- the setting used for towels and heavy fabrics. Check on the shirt halfway through the drying cycle to see if it has shrunk. Run it through an additional drying cycle if the shirt hasn't shrunk enough. Repeat the process until you're happy with the size of your shirt. Check the label on your garment to see if it's been pre-shrunk. Further shrinking pre-shrunk material may require additional washing and drying cycles.